You may have heard about our incredible pregnancy and prenatal massage, but now that you’ve given birth, have you considered getting a postnatal massage? Do you know what to expect during a postnatal massage? And do you know what a postnatal massage technically is? 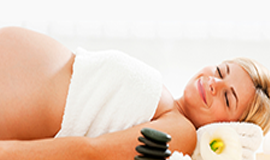 A postnatal massage is essentially a full body massage that is given to new moms up to 40 days after they give birth. They can be a wonderful way to soothe new moms and give them a chance to relax despite the fact that they now have a newborn on their hands. If you do decide to have a postnatal massage, make sure you have someone to help with the baby while you relax! Sore spots and tension: Carrying a baby for nine months, then going through the strain of giving birth can put a lot of pressure on your abdomen, your lower back, and your hips. You may also have some tension in your upper back if you have poor posture while breastfeeding. Blood Flow: Your blood flow will be increased, which helps your body process oxygen better and rid your muscles of toxins. Relaxation: Massages encourage endorphin release, which are the natural feel-good hormones your brain produces. This can be helpful if you are struggling with postnatal depression. Oxytocin: Another common chemical released through massage is oxytocin. Oxytocin helps you release milk from your breasts, so be sure to wear your breastfeeding bra to your appointment. Recovery: Increasing your blood flow, particularly after have a caesarean section, can help speed your recovery time. Don’t worry – we will avoid that area if it is not yet healed all the way! 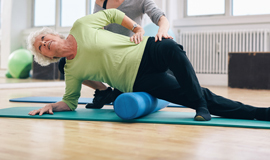 Stimulating the area surrounding can encourage blood flow and shorten your healing time. Immunity: Stimulating lymph flow is an excellent way to improve your well-being and immunity. Happiness: Again, studies have shown that massage can help elevate your mood and provide some relief when it comes to stress with your newborn and even postnatal depression. We understand that having an infant on your hands can make scheduling the time for a massage a challenge. However, taking small steps can ensure that you can relax at your massage and know that your baby is well taken care of. Ask for help for those you are close to, such as a parent, husband, or friend. Also, try to plan ahead of time when it comes to your baby’s needs. If your baby is fed and changed, it’s more likely that you will be able to fully relax during your massage without stressing about what your baby needs. If you are ready for a postnatal massage and the benefits that come along with it, be sure to give us a call today and schedule your appointment. We at Naples Massage and Neuromuscular are happy to help you and encourage wellness in all aspects of your life. Give yourself the gift of relaxation and contact us today!